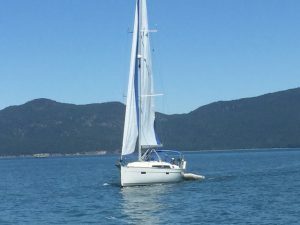 CRSA will be doing a second cruise this year with Merritt Wade as Cruise Captain joining an American Sailing Association (ASA) flotilla cruising off the west coast of Washington and Canada. 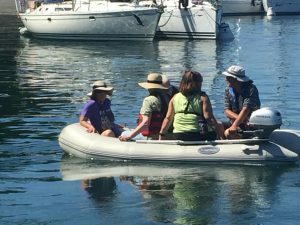 The flotilla will consist of 6-12 boats charted from San Juan Sailing and leaving from Bellingham, Washington. There will be several group dinners as well as plenty of time to explore on your own. Departing from Bellingham, we sail to Reid Harbor on Stewart Island for a cedar planked barbeque. The next day sailing to Victoria on Vancouver Island for 2 nights. 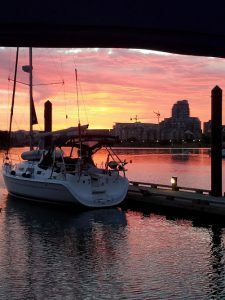 Anchored in the harbor of downtown Victoria, enjoy festivals and music in this majestic place. On Tuesday we sail to Roche Harbor on San Juan Island for 2 nights where we will enjoy their 4th of July festivities, including a potluck dinner and the front row seats to the fireworks. On Thursday we sail to Rosario Resort and Spa for a relaxing day. On Friday we return to Bellingham. Total sailing, 107 nautical miles. The area is known for stunning scenery and wild life while Victoria is famous for European charm. With luck we will see the resident pod of Orcas. A current passport is required as we will go through Canadian and US Customs. We will be challenged as sailors with tidal currents, fog and shipping lanes. This cruise is suitable for experienced and new sailors. CRSA Commodore Valerie Askren and husband Ben have sailed here several times chartering from San Juan Sailing and recommend both. 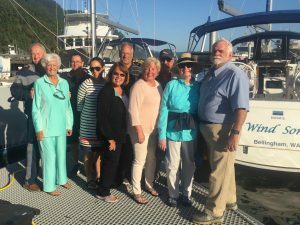 Last year CRSA chartered two boats for a cruise to the same location which everyone enjoyed immensely. One boat is reserved for seven people, three are already committed. 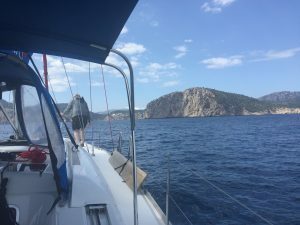 More information on the flotilla and the boats is available at http://sanjuansailing.com/charters/flotilla-opportunities.html#05 . COST and Schedule: The estimated cost of the cruise is $827 per person, based on two per cabin and seven per boat. If we do not fill the boat, the cost will increase. Captains have first cabin pick followed by crew in order of receipt of the deposit check. To reserve a cabin, a deposit of $400 per person is required and Due March 15th. Final Payment due April 25th. Deposits and final payments can be refunded after the deadlines if a substitute crew member can be found. WHAT IS NOT INCLUDED: Travel to Bellingham, food and drinks. Please print and complete the cruise application here. Once complete, submit the application to the cruise leader, Merritt Wade.